Riverboat Cruise for Charity is a kickstart to the school year. With full plated dinner on Peterborough’s very own LiftLock Cruise, this event is a great way to see Peterborough, and connect with other business students all while giving back to the community! With 100% of ticket sales being donated to Youth Emergency Shelter. Networking is one of the most vital aspects of business and personal success, but how do we do it? The TBSA is joined by successful individuals from various sectors within the community, for a night of learning how to network. With a brief panel Q&A, and a lot of putting yourself out there; students will have the opportunity to talk to potential employers, learn about the different places their degree can take them, make connections, and get some pointers on how to properly carry themselves and interact in professional settings. In celebration of Global Entrepreneurship Week, the TBSA and the Cluster have a variety of opportunities lined up throughout this week for young entrepreneurs. A fun way to de-stress before exams. Each participant pays to get in and receives “cash” to use to play at our many casino games, such as poker, blackjack and roulette. At the end of the night, there is an auction for prizes, where students bid with the money they’ve won over the night. A casual event for students to take a break from the books, get to know downtown and mingle with other business students. Looking for information on summer employment or looking for a job in the future? Come to the Business Career Fair. This event is an excellent opportunity for students and employers to engage, trade information, and discuss possible job and internship opportunities. 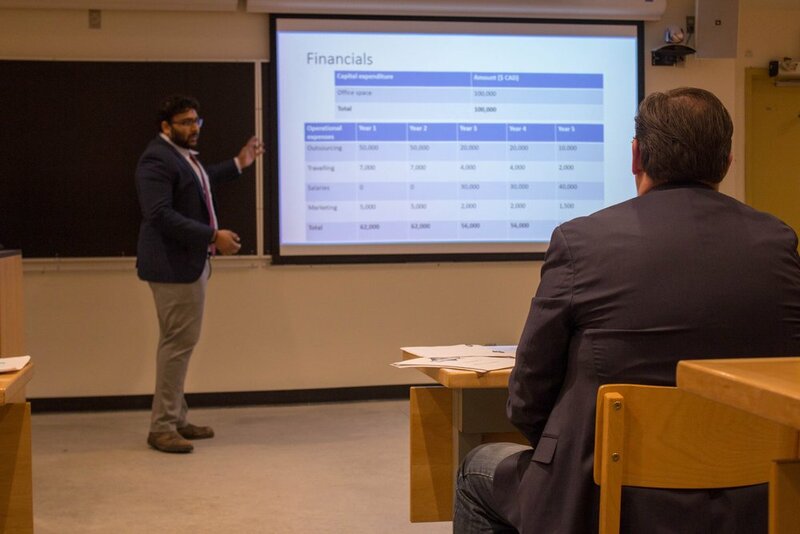 Trent University Business Strategy Simulation, serves as a training experience for students to develop their case analysis and professional presentation skills. As a University Case Competition, TUBBS bases cases on local start ups; this provides students with experience in working with groups and being creative under time constraints, while providing local business owners with solutions, advice, and ideas to improve their organization. The top three teams take home a cash prize, and everyone gains valuable experience both educationally and professionally. Our closing event of the school year, the Gala is a night of celebration. The night begins with a cocktail hour, followed by dinner and an awards ceremony. Trent faculty members, TBC members and Sponsors for the year are in attendance, as well as business students.